Hundreds of healthcare workers picketed outside Fountain Valley Regional Hospital and Medical Center in April before winning a new contract. 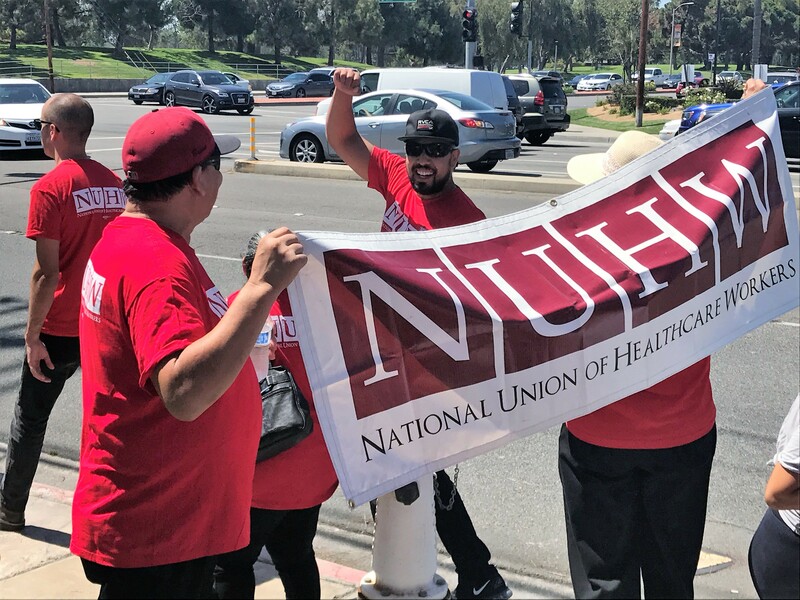 So why did dozens donned in red National Union of Healthcare Workers (NUHW) hold a rally there again Wednesday afternoon? Fountain Valley Regional subcontracts with Sodexo, a French multinational corporation, to employ its food and housekeeping staff. More than 100 workers were left out of the new contract and continue to be paid meager wages. But the union hopes all of that will change soon. 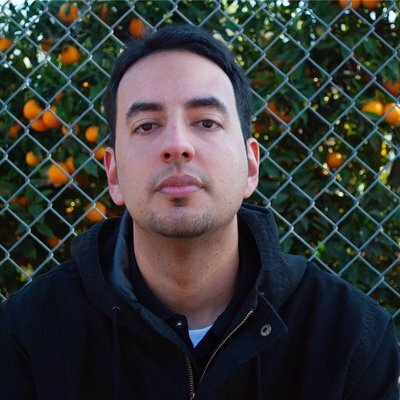 “These workers play a very important role in keeping the hospital clean and taking care of the patients,” says Antonio Orea, an NUHW labor organizer. “We’ve been in negotiations since they voted to unionize in November.” They’ve tried to get Sodexo to boost wages up from the $11 an hour average to $15 while lowering employee contributions for health insurance. The union also wants to increase staffing to ensure safer and better quality patient care. But Sodexo hasn’t budged on the demands. 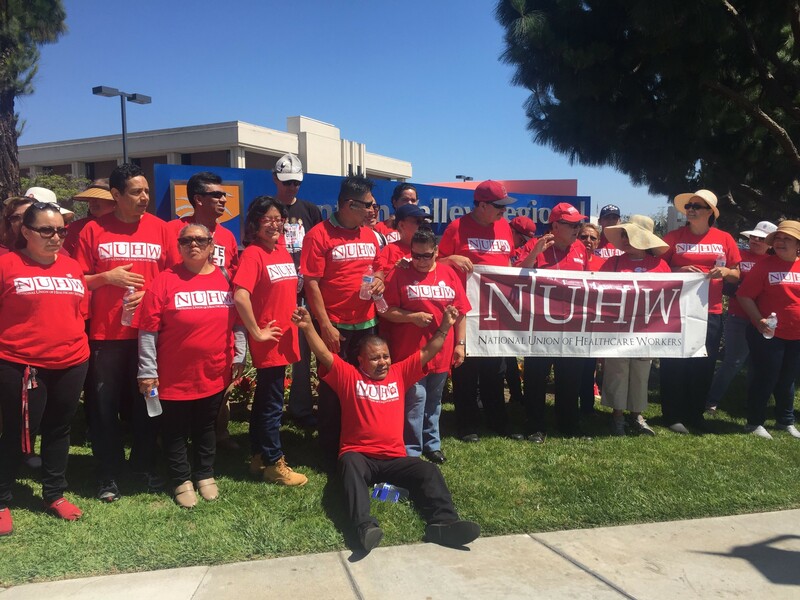 The rally outside Fountain Valley Regional was followed by a similar action yesterday at the USC Norris Comprehensive Cancer Center in Los Angeles, where Sodexo pays lower wages for the same work than the university’s employed staff down the street at Keck Hospital. 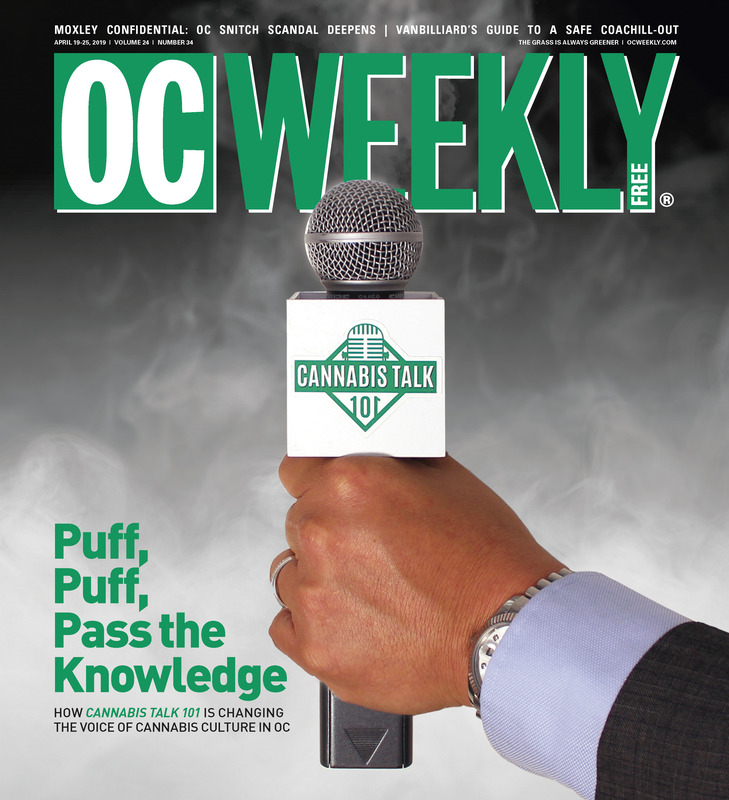 Many workers at both OC and LA work sites qualify for public assistance programs.